SAN DIEGO--(BUSINESS WIRE)--Jan. 14, 2014-- Illumina, Inc. (NASDAQ:ILMN) today broke the ‘sound barrier’ of human genomics by enabling the $1,000 genome. This achievement is made possible by the new HiSeq X Ten Sequencing System. This platform includes dramatic technology breakthroughs that enable researchers to undertake studies of unprecedented scale by providing the throughput to sequence tens of thousands of human whole genomes in a single year in a single lab. Initial customers for the transformative HiSeq X Ten System include Macrogen, a global next-generation sequencing service organization based in Seoul, South Korea and its CLIA laboratory in Rockville, Maryland, the Broad Institute in Cambridge, Massachusetts, the world’s leading research institute in genomic medicine, and the Garvan Institute of Medical Research in Sydney, Australia, a world leader in biomedical research. The HiSeq X Ten is the world’s first platform to deliver full coverage human genomes for less than $1,000, inclusive of typical instrument depreciation, DNA extraction, library preparation, and estimated labor. Purpose-built for population-scale human whole genome sequencing, the HiSeq X Ten is an ideal platform for scientists and institutions focused on the discovery of genotypic variation to enable a deeper understanding of human biology and genetic disease. It can sequence tens of thousands of samples annually with high-quality, high-coverage sequencing, delivering a comprehensive catalog of human variation within and outside coding regions. 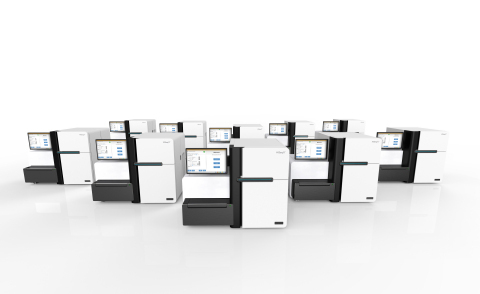 The HiSeq X Ten Sequencing System will ship in Q1 2014.